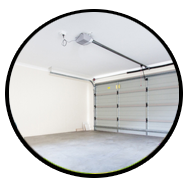 The garage door repair services provided by our company are meticulous and carried out with the best equipment in California. We promise high quality garage door repair parts and branded products, immediate response to emergency services and well-trained specialists. Thorough garage door services by experienced, well-equipped contractors! Great commercial and residential garage door repairs, emergencies, methodical maintenance. 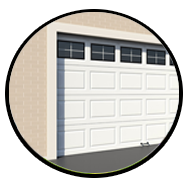 We fix, install and replace tracks for residential garage doors! Give us a call if you need our assistance today! The services provided by our company include same day damaged garage door track repair. Our technicians take care of track problems as soon as possible and offer honest solutions so that your door will move noiselessly and safely. Bent tracks are fixed unless they are extensively damaged and should be replaced. We fix any problem resulting from damaged or misaligned tracks and are equipped to do the job on-site. You can depend on us to help you with any track issue and in the quickest possible time. Tracks house the rollers, which carry the garage door and facilitate its movement. There are differentiations among them so that they fit the door's requirements. Below are the main distinctions. Tracks are made of steel, which, as of late, is galvanized to prevent the material from eroding over the years. Until just a few years ago, they were made of raw steel and were usually coated with black paint. Their length varies according to the size of the door. Their thickness also varies. Tracks used for residential doors measure .075, .062 or .055 inch. Track widths are different, too. Most residential doors carry two-inch tracks, but there are also one-inch tracks. Three-inch tracks are made for heavy residential doors. The tracks mounted on the two sides of the door are called vertical and their size is determined by the size of the door. They are often 8 inches shorter than the door. These are the tracks which are connected to the curved section and travel across the ceiling. These are the tracks that connect the vertical and horizontal tracks and their radius differs among standard and high lift systems. Since the heavy door moves up and down several times a day and due to their position, tracks might get hit or misaligned, which could cause operational problems. These are the most common track issues. The garage door comes off the track when the rollers cannot move smoothly in the tracks. This happens when tracks are dented or misaligned. Parts of the track sections might bend if they are hit with a heavy object. Most of the time, these dents are fixable. Tracks can also bend if the cable breaks and there is an attempt to close the door. The door will bend and so will the track. When brackets buckle out or if a car hits the tracks with force, the tracks might get seriously damaged. They might even cause a split on the track. In this case, tracks should be replaced. Tracks will lose their initial position if they have been hit by a heavy object or if their bolts become loose. They must be aligned immediately and must be a proper distance from the door to avoid door binding. 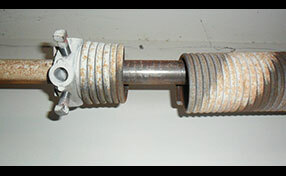 Tracks become worn naturally after many years of use and if the rollers are frozen or damaged. Lubricants protect them. This is the bracket which connects the vertical track to the door jamb, although some tracks are mounted on the jamb with an angle. Loose or damaged brackets will lead to door operational problems. Vertical tracks are mounted against the door jamb with bolts. If they become loose, the tracks will become misaligned and the door will jam. Without any kind of doubt, garage doors have evolved a lot throughout the past few decades and these days, the systems behind such a door can be extremely complex. If you have decided to upgrade or replace your garage door, you should absolutely make sure to hire a contractor to help you with this. Even if your garage door is an older one and you simply want to fix it, a professional contractor will still be a better choice! Our company can provide you with a team of garage door pros to deal with your installation or repair for the lowest price on the market so there’s absolutely no reason not to call for our help! Garage door repairs and replacements are a common thing nowadays since they tend to break and malfunction due to the extreme temperatures and other natural phenomena. Springs may break, the door may come off the track, the cable may come off drums, cables may get loose, the bottom rubber may wear out and even minor defects including the loosening of a screw could create further damages. You must keep your garage door clean and neat inside and out. You must make sure that there is no debris in the tracks obstructing the good performance of the door and the cables do not make any weird noises. If you suspect even a small crack, you should call our professional experts to fix it instantly. After all, we have the proper equipment and our tools are always stocked within our vans, so that we can provide you same day service quickly and thoroughly. If it is after hours or during weekends or holidays, you must remember that we have the best emergency call line. Keep our phone number in handy because we can be by your side in no time. 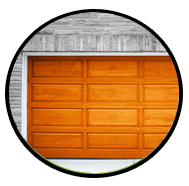 Our company is insured and certified to repair all damages concerning your garage door. 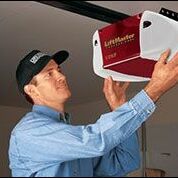 Our technicians are briefed to the latest word of technology and are aware of innovative techniques and methods for treating each case and each type of garage door. They can also advise you about a new door and guide you into taking the right decision for your property and family budget. Garage Door Repair Norwalk is, practically, your guardian angel because we can look after the malfunctions of your door, ensure its stability and excellent condition and, thus, guarantee your family’s safety and security as well. Good equipment and fast vans wouldn't mean a thing if our company at zip code 90650 didn't possess excellent technicians. We have the best in California. 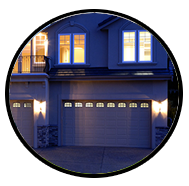 We're proud of their dedicated and accomplished skills that offer top garage door repair services. The raised panels are the unique style element of the traditional Amarr garage doors. The brand's traditional range includes four collections - Heritage, Lincoln, Stratford and Olympus. Each one has several panel design options. It is interesting to note that flush panels are available in addition to the short and long raised ones. If you want to get top-level windows, you can choose from a variety of styles. The panel color options range from white and beige to brown. There are different insulated structures to choose from as well. It is possible to opt for a single steel layer without insulation or to have an insulating polystyrene layer with vinyl backing added to it. The three-layer structure has two outer layers of steel plus a middle insulating one. The options are polystyrene panel or polyurethane foam. Let us install your new Amarr door and provide assistance throughout the comparison process as well. If you really want to invest in improved home appearance and an excellent garage door, choosing a glass door is your best option. Despite of common beliefs, these doors have more benefits than disadvantages not only in regard to their appearance but also their strengths.